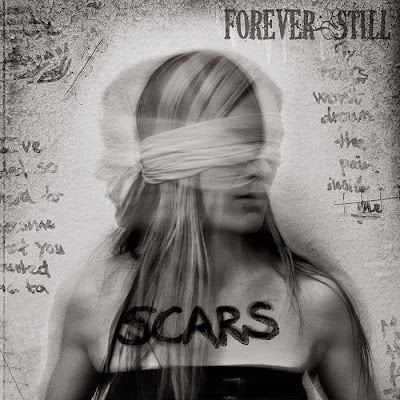 Forever Still are an alternative rock band from Copenhagen, Denmark and last month saw the release of their Scars EP. HD gives their verdict! Frontwoman Maja Schønning is the driving force behind the band, bringing powerful vocals in abundance. If we were to place our faith in one female to successfully lead a band to the top of the metal scene, Maja would be it. The four-piece is completed by Mikkel Haastrup, Dennis Post and Jens Berglid. Title track Scars dives straight in with jagged guitar riffs as Maja does a mixture of singing and screaming over the dark melody. The song is haunting, much like Evanescence's material. It evokes great angst and torment as does Once Upon A Nightmare, which - even just from the title - sounds like a fairytale that has taken a uncontrollably dangerous twist. Something about the soaring high vocals and amalgamation of heavy drums and guitar makes the track so compelling, you can't help but be drawn in. Final track Miss Madness moves between a quiet simple piano formation and the heavy sound that we have come to associate Forever Still with. Both work in combination and seem to portray two conflicting sides to the unnamed individual Maja speaks of. While it feels as if the EP comes to a premature conclusion, it is only the first instalment in what will eventually be three EPs, which will form to produce the band's debut album in Spring 2015. Check out the video for Scars below! Keep up-to-date with Forever Still on Facebook, Twitter, Youtube and their official website.